The English language has given us two similar-sounding words to discuss the fate of the Indian Rupee: whither and wither. Whither means "in what place or in what state". Wither means "fall into decay or decline"
Google has an answer for everything and a few quick strokes of the keyboard give you what you need - most of the time. But Google Assistant, Alexa, and all the Altered Intelligence out there could not tell me what the fate of the Indian Rupee is likely to be for the next 12 months. So, with all the Artificial Intelligence that I could get to work in my dormant brain, I offer the answer: the INR will have another bad year in 2019. Wither the Indian Rupee. On December 29, 2017 the INR closed the calendar year 2017 at USD 1 = INR 63.8725. It ended December 31, 2018 at USD 1 = INR 69.7675. That's a loss of -9.23% for the year 2018. It could have been a lot worse! During the CY 2018, the INR weakened to USD 1 = INR 74.3875 on Oct 9th and then staged a smart recovery as oil prices globally took a beating - probably due to the reaction of the Saudi oil-pumping machinery to buy peace with the US after the murder of Jamal Khashoggi on October 2nd. Then, the expected shock resignation of Dr. Urjit Patel as the Governor, Reserve Bank of India, and the unexpected shock defeat of the BJP by Pappu in a 0-3 wipe out in three key state elections (which suddenly throws the May 2019 election wide open) caused the rupee to decline to USD 1 = INR 72.0188 on December 12th. But then, the INR staged a bit of a comeback as Brent crude fell from USD 61.45 per barrel on December 12 to USD 53.80 on December 31, 2018. By December 31st 2018, rupee was at USD 1 = INR 69.7675. If the fear over the price of oil was the only story that was impacting the INR, then the rupee should have had a better performance in 2018. The market is exhibiting nervousness over more than oil prices and its impact on India's current account deficit. There is the unknown of who will win the next general election to be held by May 2019. And there is the unknown of how big a hole there is in the government's accounts. While the Finance Minister keeps reminding us that he will contain the fiscal deficit, news reports that the deficit for an 8-month period from April to November 2018 has already reached 115% of the planned deficit for the full year are making markets nervous. And election spending has yet to begin. A BJP that has tasted power is not going to walk away from the next election without a fight. And that fight could be a "universal income" of Rs. 10,000 per month for every household below the poverty line; loan waivers; and the typical government-spend on media campaigns showing how India has been rising during the era of the BJP. All this means more money out - and to be paid for by a printing press run by the RBI, which is run by the government to work for the government. The good news is that foreign travel costs will reduce as Team Modi will be spending more money on travelling locally. However, petrol consumption on local or foreign travel will probably be the same so no significant savings for India on the front. It is likely that the INR will take it on the chin in 2019. Another -10% knock to USD 1 = INR 77 levels cannot be ruled out. Stocks of exporters could come out looking good as will Indian software companies. The cost of educating your children outside India could surge. But if you are being supported by inflows from your children working outside India, the New Year will indeed be cheerful and ecstatic! For the rest of us, a Happy New Year is what we can wish for! Read the tea leaves: Election uncertainty and fiscal deficit fears will knock down the Indian Rupee. Equitymaster requests your view! Post a comment on "Wither the Rupee?". Click here! 5 Responses to "Wither the Rupee?" I had absolutely no problem with the word pappu amidst the article. I am shocked to read '...and the unexpected shock defeat of the BJP by Pappu...' even though I do not support either of the political parties! 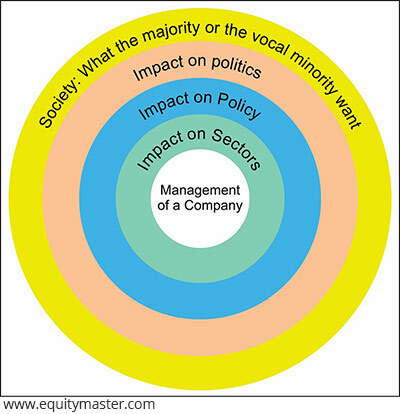 My faith in Equitymaster has strengthened over the years but it got shaken by reading such language by none less than Ajit Dayal. Dissappointed - please refrain from such 'street language'. Whatever happens, the reality is that the next government (whoever that is) is only going to get a bankrupt and empty coffers. More than 2019, what people need to be worried is the impact of this election for the years to come. I take it as a CAUTION than a politically pessimistic one. Nice article.. lucid style and easy story-telling. However, I feel, any publishing house, or a public personality should avoid using words such as Pappu etc. in an article as it leaves bad taste.. Reader can still enjoy the contents and make mental notes.. He is not interested in author's political dispensation.. and the author need not display his dispensations as well.